Huge thanks to Brandon Tay and Safuan Johari for featuring us Machineast at Light To Night Festival 2018, Art Skins on Monument around The Civic District in Singapore. 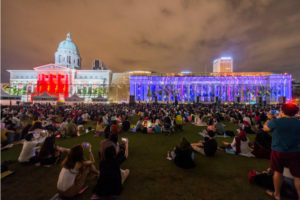 Special thanks to National Gallery Singapore for this amazing event and the powerful projectors by Hexogon Solution that made our visual came to life. 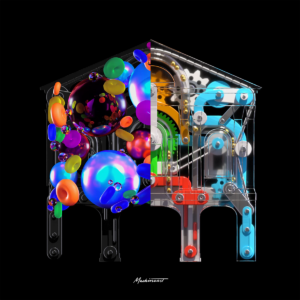 The theme is 'Colour Sensations', and we wanted to show nostalgic feeling about the colourful see-through classic toy and waterful floating ring toss that we used to play when were kids and structured them in a visual art form. This is our first projection mapping attempt and it felt surreal to see them projected accurately on the building. Welcome to our spanking new website! It's cleaner and easier to navigate. We have been fortunate to work alongside Iris Worldwide Singapore for Marina Bay Sands "Xmas Comes Alive" Campaign. You could view the project via this link.